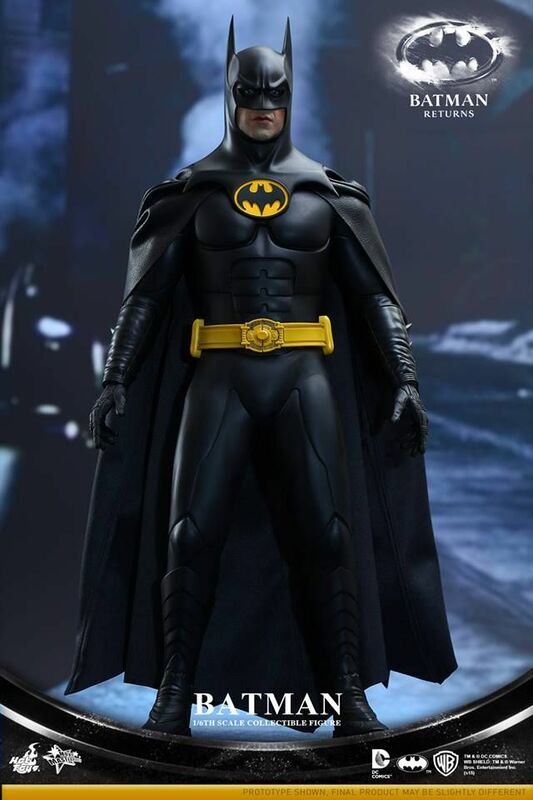 Batman is here! 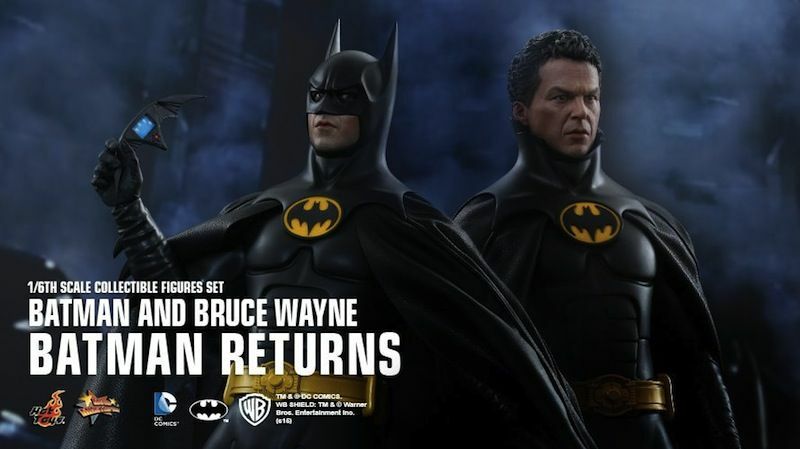 In the second installment of the Batman series directed by Tim Burton, Michael Keaton reprised the role of the caped crusader to protect Gotham City again from terrible fates. 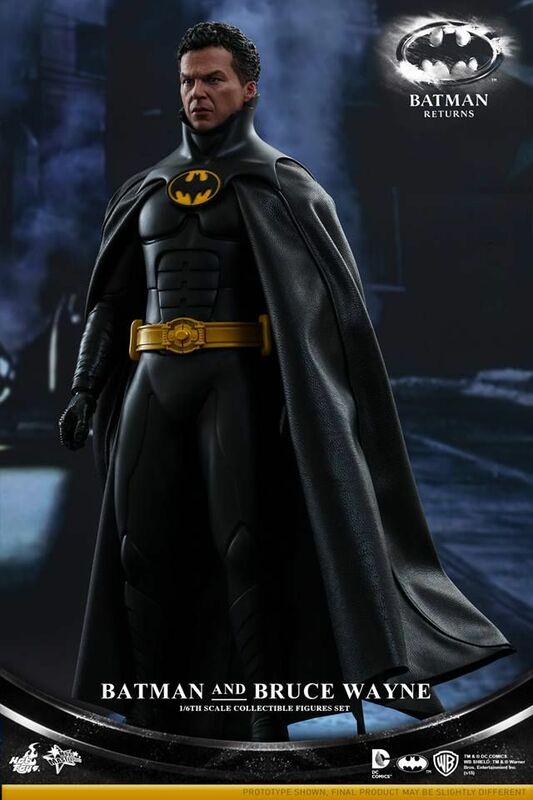 His amazing portrayal of the iconic character in this darker take on the superhero set the high standard for the future appearances of the dark knight on the silver screen! 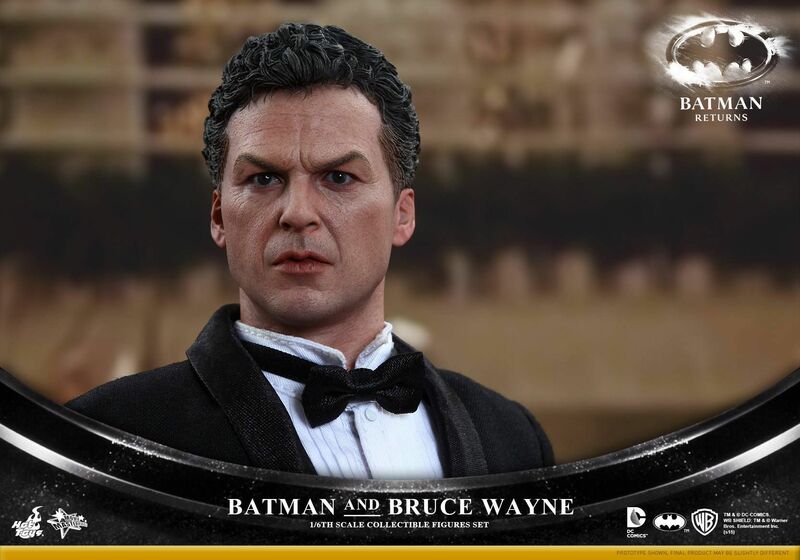 Today, Hot Toys is delighted to present a special 1/6th scale collectible figures set featuring Batman and Bruce Wayne from the classic Batman Returns! 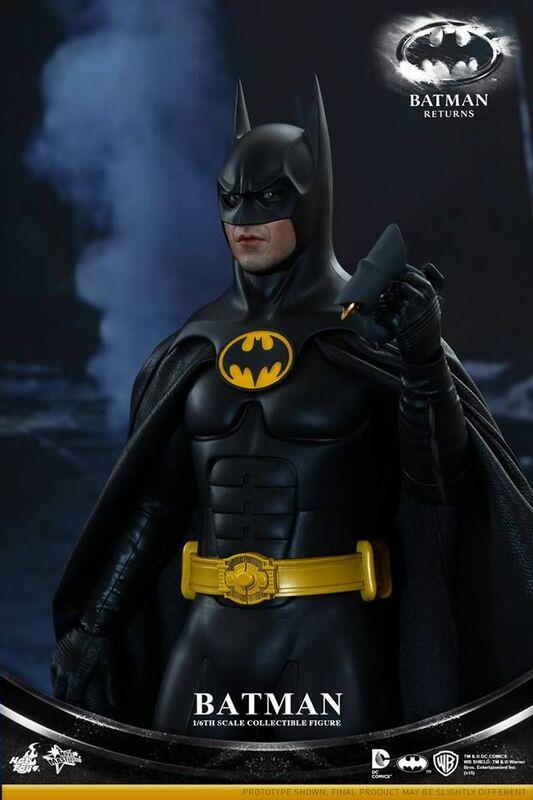 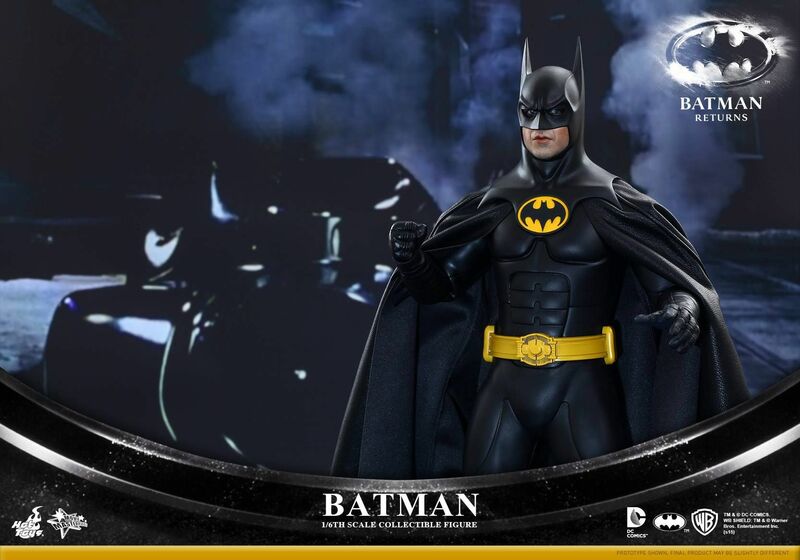 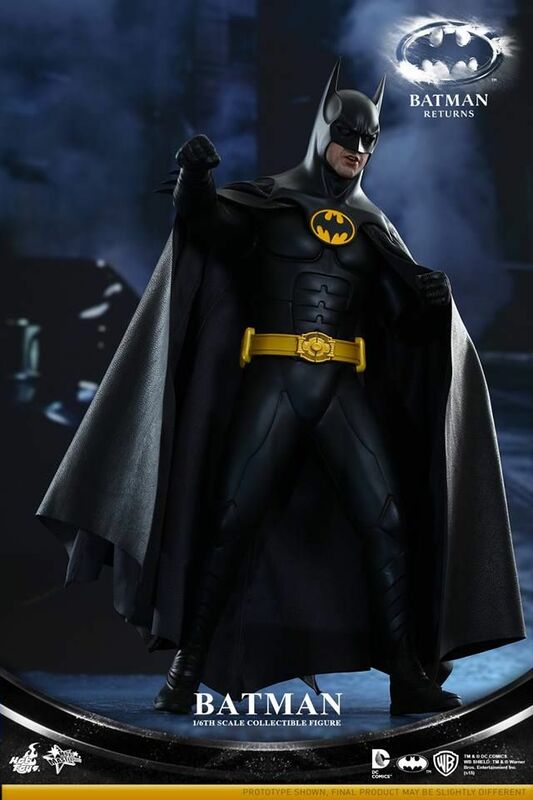 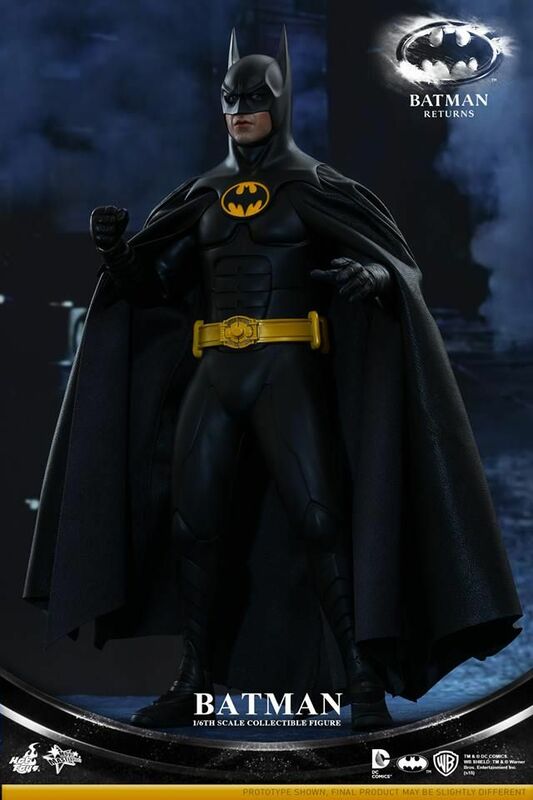 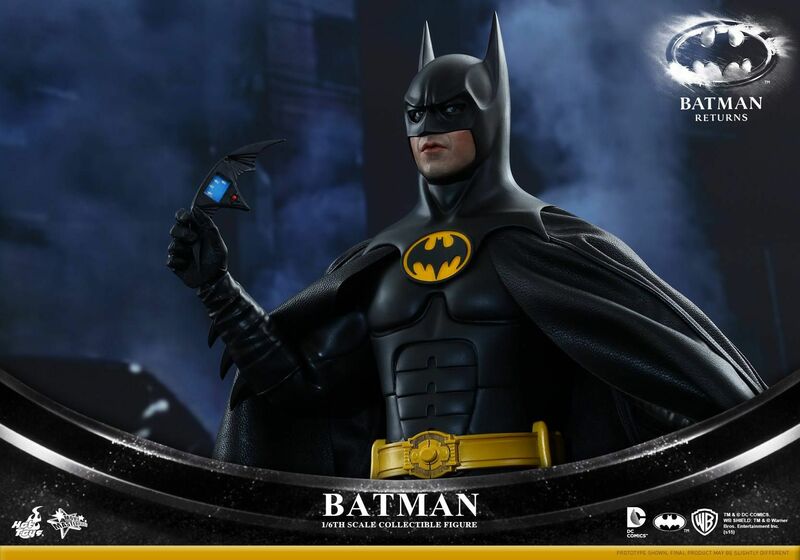 The movie-accurate Batman Collectible Figure is specially crafted based on the image of Michael Keaton as the iconic character Batman, featuring a newly developed masked head sculpt with separate rolling eyeballs and interchangeable lower faces, a specially created Batsuit, highly detailed Batman gadgets, and a LED light-up figure base. 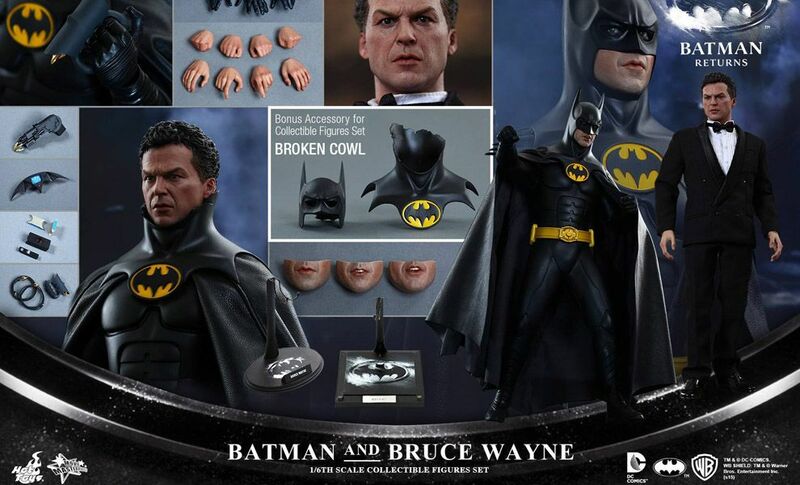 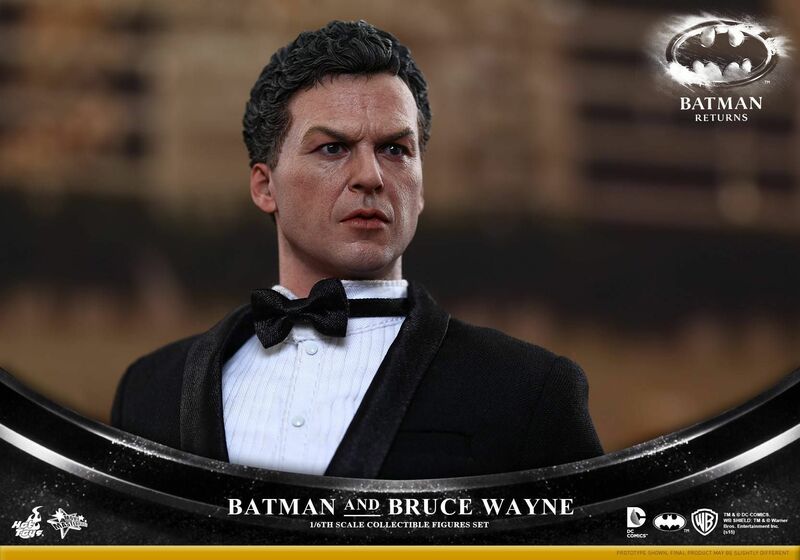 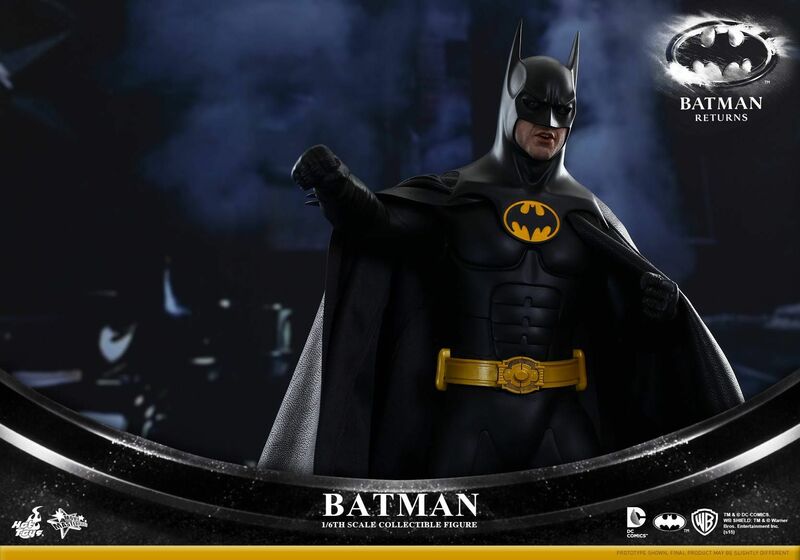 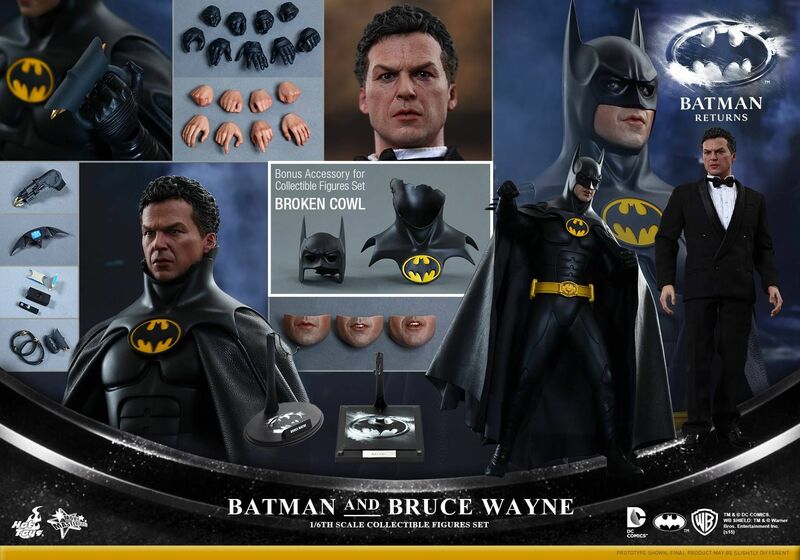 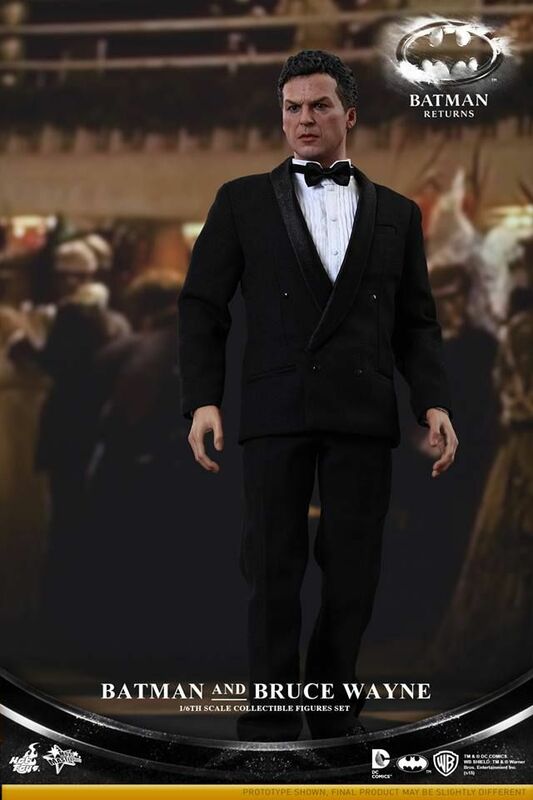 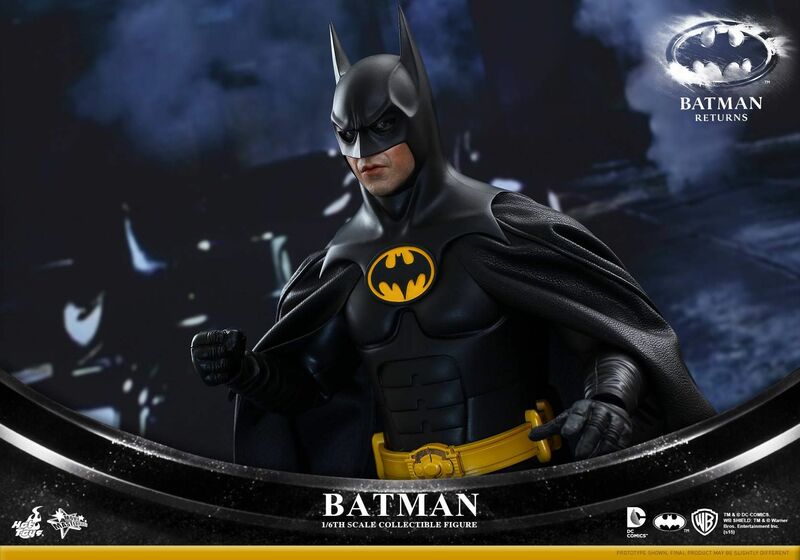 The movie-accurate Bruce Wayne collectible is specially crafted based on the image of Michael Keaton as Bruce Wayne in the film highlighting the newly developed head sculpt and a finely tailored suit with great details. 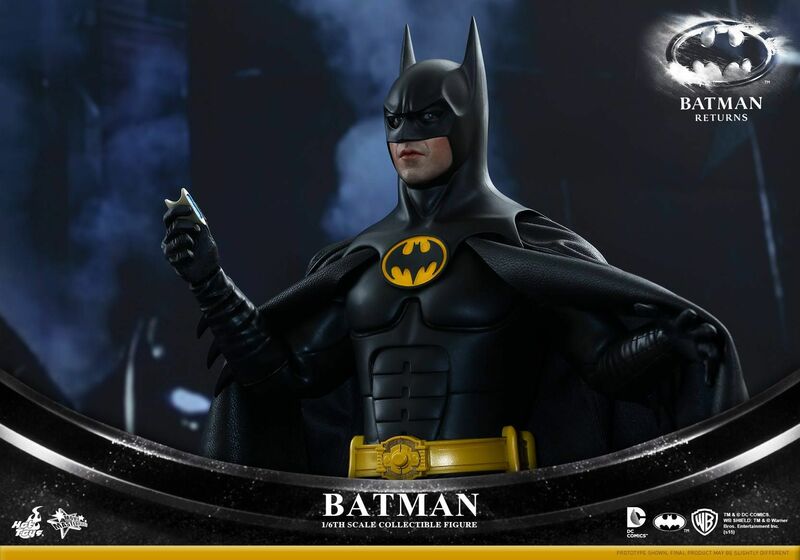 The collectible figures set will specially include a bonus broken cowl, Batman fans don’t pass up on the opportunity to add the dark knight and his alter ego to your collection!